Warren Robbe interviewed February 2011. Warren Robbe remembers his time working at the CF&I steel mill. He would last seven days. Robbe's heart was in music. His group, the Bandmasters had a regular gig at the Columbine Club. One day, while out on a date, a dare would change his career path forever. “It was actually the only song the band knew, that I knew,” he admitted. While the relationship with the girlfriend was short-lived, his love of performing was lasting. Before too long Robbe was venturing out, taking gigs across the country, with his new group, the Colorado Sun Downers. “I was working with a steel guitar player, Joe Smith. He was my mentor back then,” he said. “We went on to work together for years." Throughout the early years of his career Robbe started to write his own songs. “Back then if you wanted to make a record, you had to write your own songs. 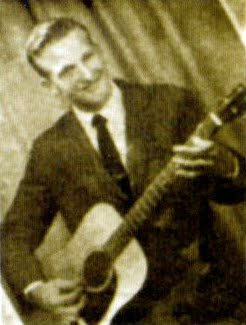 Being in Pueblo, Colorado, nobody is going to bring you any.” So he headed to the studio to record his first two singles – the rockbilly-tinged “My Chicken Pen “/ “My Heart Disagrees” (Mystic 730), and “Single Man” / “If I Had My Dreams to Build Over” (Mystic 811). His songwriting credentials were further highlighted when, in 1960, he pitched his song “Roll River Roll” to Slim Whitman. In 1960 Robbe entered the military, where he stayed for two years. He picked up where he left off after he was discharged, moving to New Mexico, and forming the group Warren Robbe and the Bandits. Through Robbe’s relationship with Joe Smith, he was introduced to Colorado picker, Bill Goodwin. “We were playing the South Cañon Hall, where everybody got together, and it was actually Bill who hooked me up with Band Box." Years earlier Bill Goodwin had also spent time at the Denver studio, recording a handful of songs. After what Robbe perceived as a less than professional recording session at KPIK, Goodwin offered up his own band, The Country Tunesmen for the Band Box recordings. 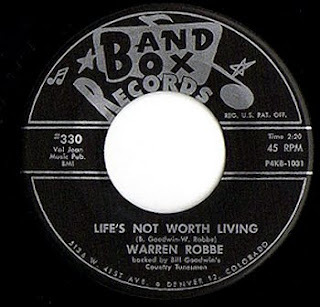 The sessions resulted in Goodwin-Robbe penned “I’ve Had My Chance”/”Life’s Not Worth Living” (Band Box 303). Listen to "Life's Not Worth Living"
Robbe spent several years on the road, as the opening act for his friend, Bill Goodwin. He would later move to Tennessee, where his prolific songwriting talents were in demand. He became a staff writer for Acuff-Rose music publishing. “I think I wrote 27 Ray Price records,” he said. Robbe’s compositions would garner several awards, including a top five hit, in 1985, for Gene Watson, “Memories to Burn.” He would go on to score other Gene Watson hits, “Forever Again,” and “You’re Just Another Beer Drinking Song.” Although he doesn’t recollect the exact number, Robbe’s best guess is that he penned at least 200 songs in his career. At 74, he’s retired in Tennessee, where he enjoys gunsmithing. He still has family in Pueblo. As luck would have it, those two Mystic singles he regrets recording are now considered highly coveted rockabilly collectibles. 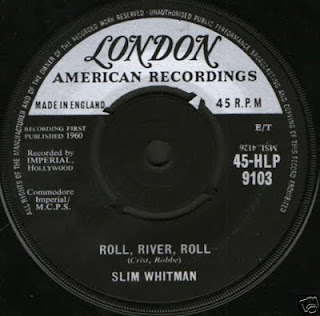 “Single Man” would go on to appear on several European LP and CD compilations including Rockabilly Boys (Buffalo Bop 55159 – Germany), Zing Zing Rock &amp; Roll (Collector 4507 – Netherlands), The Best of Dixie Vol. 7 (Million LP7 Netherlands), Rock and Roll Billy (White Label Netherlands 8939), and Real Rare Rockabilly Vol. 10 (Zomboco 10) United States. 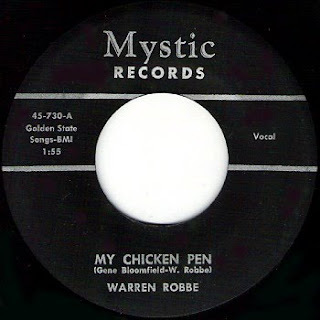 “Chicken Pen” would also see the light of day again, appearing on several compilations. In 2010, a copy of the original single sold for $500 on eBay.